I am sure you want to be able to independently, and confidently read a price chart – if you’re just piggy backing off of someone else’s opinions, you will never truly get there. So today, I am going to show you the processes I use to plot support and resistance. 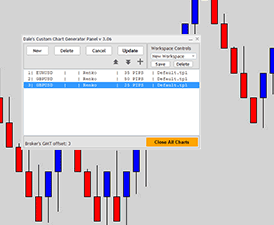 Ranging markets are really easy to ‘map out’ on your charts. 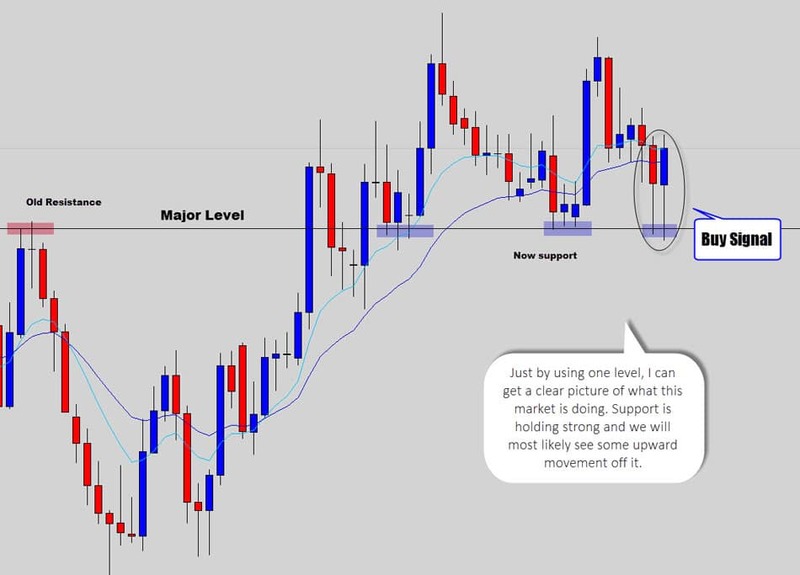 You need to draw your levels so that you highlight the upper resistance and lower support containment levels. These are the major turning points for a range and deserve your attention. The best trading opportunities will form here. Stay away from the middle of the range, it’s a ‘no fly zone’ that spawns a lot of bad signals and rough price action. 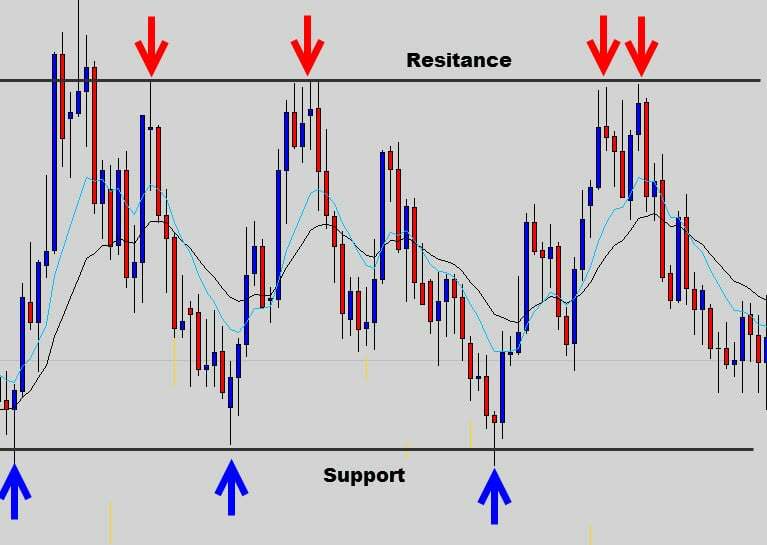 I truly hope today’s guide to identifying support and resistance levels has given you some new insight on how to structure your charts, and plan your trades more effectively. Don’t expect to nail it immediately just from one pass of this lesson. 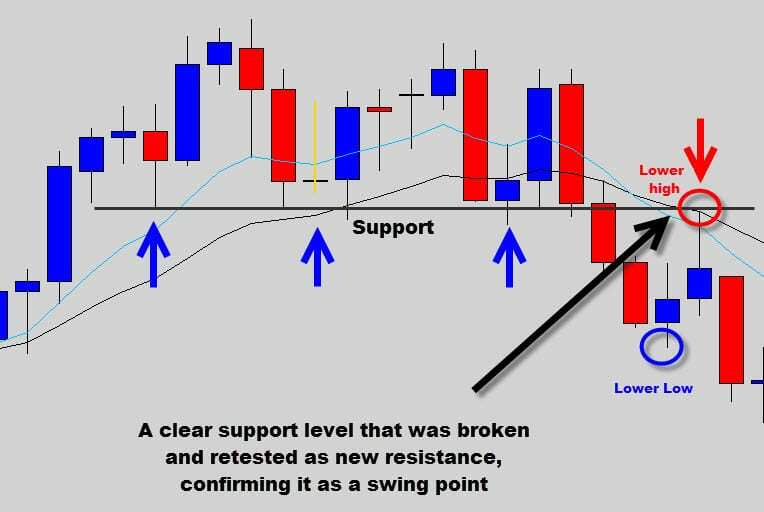 The ability to draw levels correctly is learned over time and with patience – so don’t give up, learn to avoid common mistakes when traders draw support and resistance. If you’ve stuck with crowed price charts that are overloaded with a horde of support and resistance levels (and indicators to boot) – then you’re going about it the wrong way. 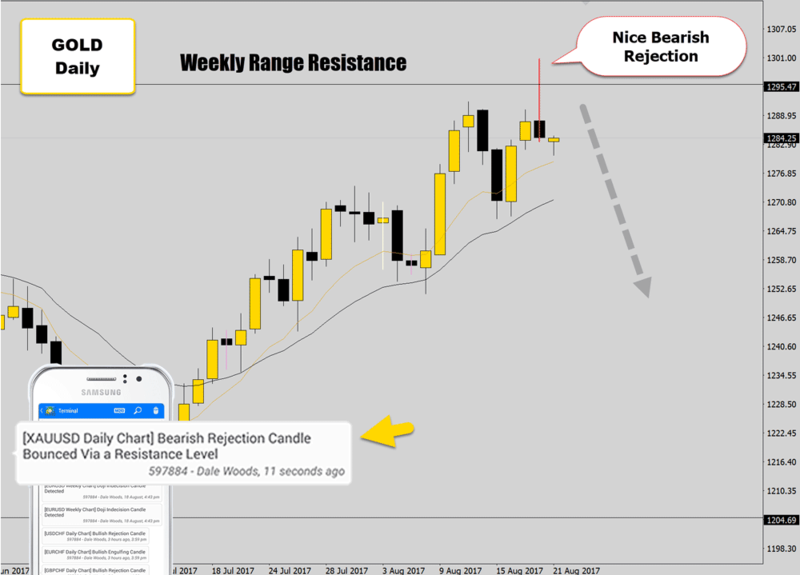 Scrub your chart clean, start again and use the methods discussed here today to keep trading nice and simple. 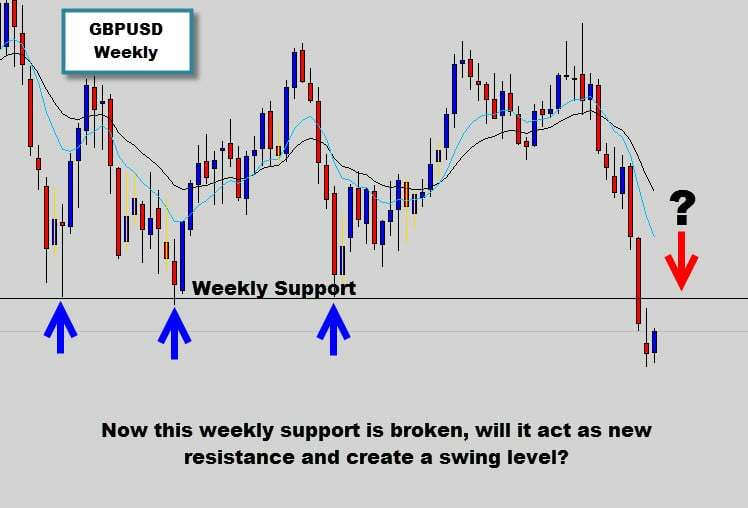 Acquiring the skill of correctly marking out support and resistance is obviously very important for any Forex trader – but we’ve only scratched the surface here in today’s introduction. 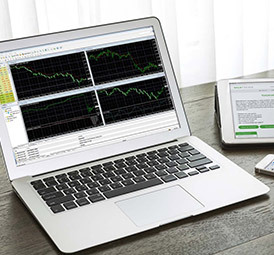 If you’re serious about learning how to read plain price charts to anticipate future price movements, and make high probability trade calls – you would greatly benefit from our war room membership for aspiring price action swing traders. 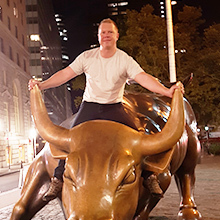 The War Room is our private membership area where you will learn more about price action strategies, and gain access to advanced ‘war room’ only material – like our 1 hour video presentation on identifying and using support and resistance levels. 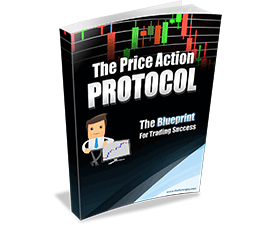 There is also the Price Action Protocol course and the community aspect, like the chat room and forum where we are bouncing trade ideas off each other all the time. I hope to see you on the other side, cheers to your future trading! One noticeable difference I see with your S&R as opposed to other I see, is that you place them at the extremes of the "pins" as opposed to others who use the body of the candles high or low for this. I don't really have any sort of rigid approach like 'lining up wicks' - I use my eye and mark the levels logically. I am looking for obvious turning points in the market from up high on the daily and weekly time frames. You will find that the market is a noisy place sometimes, and you won't always get these clean support and resistance levels that we like to see, but more like 'areas' or 'zones'. Which one is better to use as support and resistance? Body or tip of the candle? hi,i still confuse i SnR level how to draw in weekly and daily? Try to only plot out the major turning points on the chart, these are the areas where you seen long term price reversals. The more times you see long term price reversals off these levels - the stronger, or more value the support or resistance level has. Very good info for a newbie like me. Makes a lot of since. 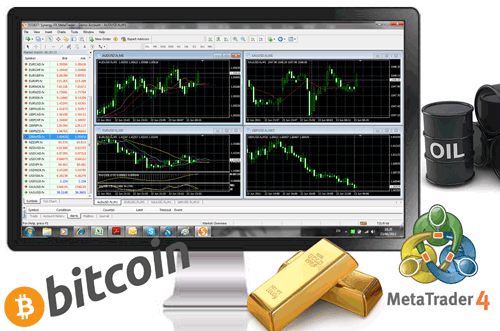 I just opened a forex trading account but have not made a first trade yet. 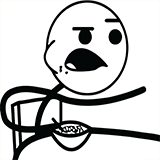 I am trying to study first so I can actually make money instead of losing it. Thanks for the info. Thanks for the feedback Sam. Good luck on the charts! 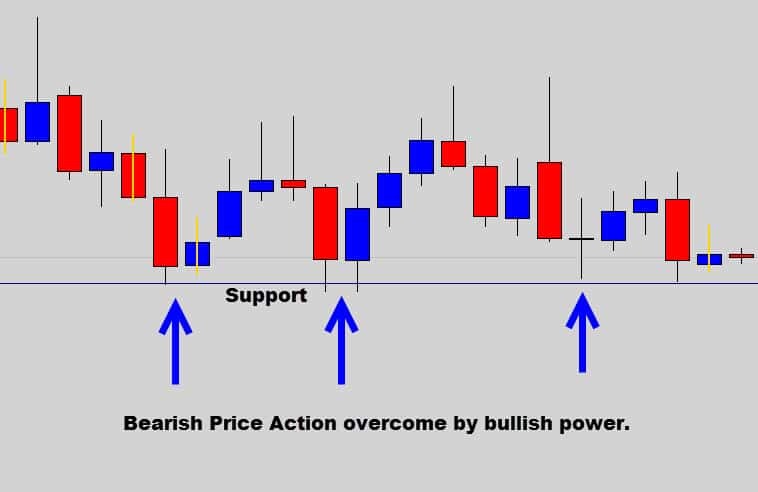 What do you think of using line charts to plot support and resistance? Not really, the line chart only shows half the story. 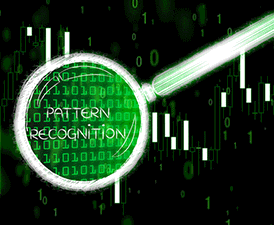 You can't see important data like the range of the day and if any failed breakouts occurred. Line charts will give you a brief idea of what the market is doing but not the full story. What is your opinion about adding donchian channels since they can show the highs and lows. I am a big fan of those channels, I usually call them 'the turtle channel' because that's what the famous turtle strategy used. I've used them in some of my indicator projects. Hi Dale, thank you so much in taking this challenge to educate people like us, I like your approach on Discipline, patience and etc, Yes i agree with you. If you take it as a business then you must be serious and make it work. 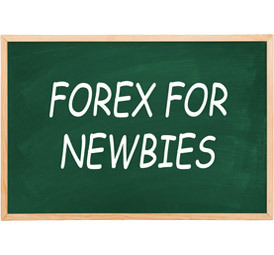 I also like the way you write, straight forward and shoot if you have too.I am 2 months old in forex, attended 2 days class and started trading, losses were more than gains because we were taught on day trading more than end of the trading. Then i started thinking there must be something else i can do and i found your site. Thank you so much for sharing. Hi sir. Love ur lesson. 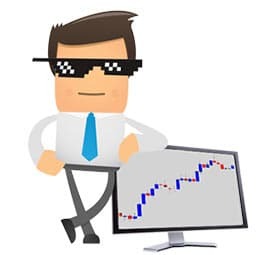 Do you have tradingview account. If u have one, that would be fantastic. 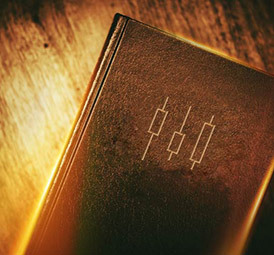 You have to look at the market structure, which is most visible from the weekly chart. Mark the major turning points there. 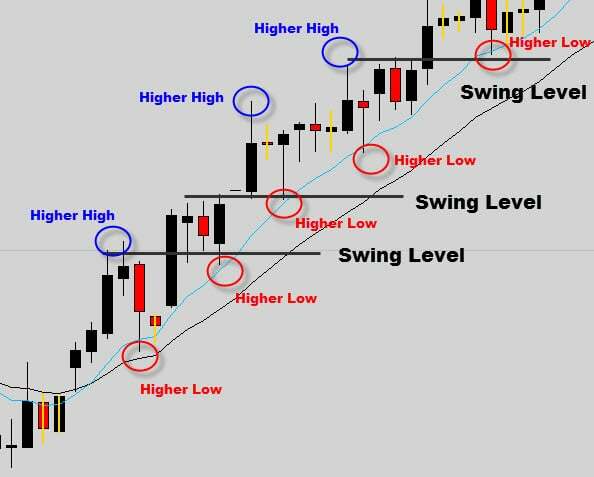 Then on the time frame you trade off, you can work with swing high and lows to identify / anticipate swing levels for trend continuation trades. Thank you again for this great information. I know it takes time to put together. Much appreciated. Hi Dale. Many thanks, your explanations are clear, to the point and easy to follow and understand. I am delighted to have found your site and very grateful for your kindness in sharing your knowledge with us. I wish you all the best. Jacques. Nice article Dale, every time I read your new post I learn something new. Keep it up. 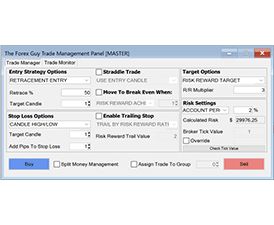 Hi Dale, I am based in South Africa and i have just started trading on my demo account to better my skills before i open a real account. I am battling with my S&R lines as the person i am learning from has not explained it correctly. Looking at the way you draw yours is so much clearer.I was told to use line charts and draw my structure lines from monthly, daily and then weekly within my period separators.Would you recommend i do this? 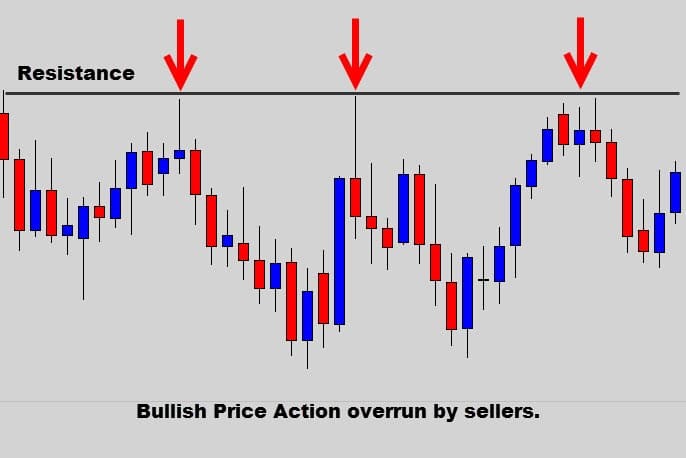 No, because line charts only show 1 out of 4 data points of the price moment, the close price.Candles and bar charts show you the high, low close and open price of price action - which are very important. Interesting lesson! learnt a lot. 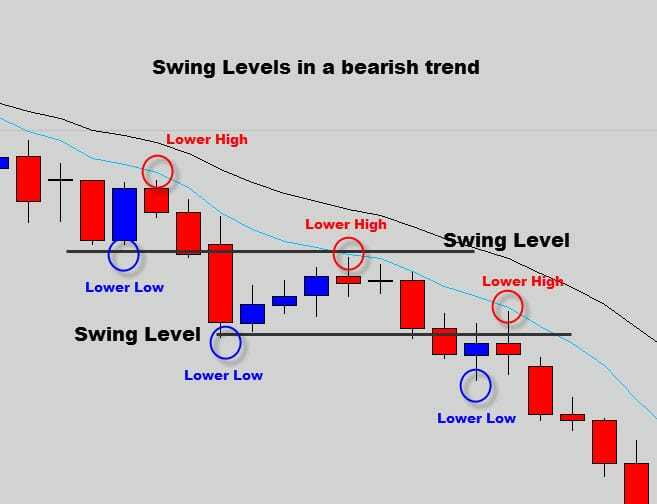 Also it needs practice for identifying as specially swing levels for benefiting in case of trend reversal. But I am confident that this is the easiest method from all other I have gone through so far. Thanks to the author Mr Dale Woods for sharing his hard earned knowledge. 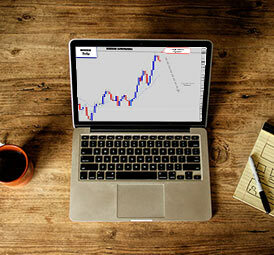 thank you for showing us the simple side of chart analysis. how much room do you leave for error? 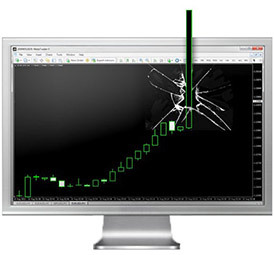 for example when you open a trade, how big is the margin that you will set the stop loss at? do you measure them in pips or in actual money? thank you for showing us the simple side of chart analysis. Hi Dale,Thank you very much for your lessons. I m trying hard to learn how to draw Support and Resistance. How do i join your war room so that i have access to your videos? you also mentioned something like this is just the begining for S/R what else is required for one to learn this thoroughly. 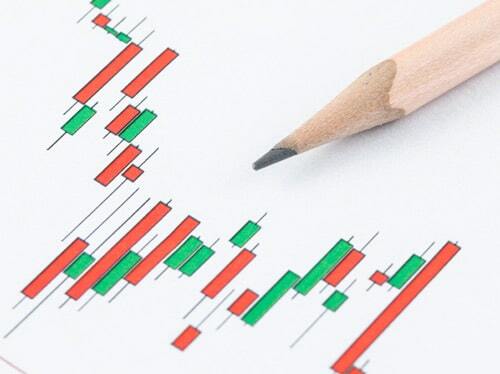 hi dale , i thank you so much for the time you have taken to educate new traders like me, please how can i also use the weakly and daily charts to find resistance and support levels, then use this points to trade with a small account like $100 account since the longer the time the longer the stop loss which could be a risk to my account? Nice, It has opened my eyes. Very, Very Good work. Thanks. Arif from Bangladesh. Thank you, Dale. I wish I found this sooner before losing my money. T T. I wish I could see more example of support and resistance. I am a newbie. Making mistakes over and over again. Wish you blessing Dale! Master, what is the purpose of the 10 and 20 EMA. What does it tell you? 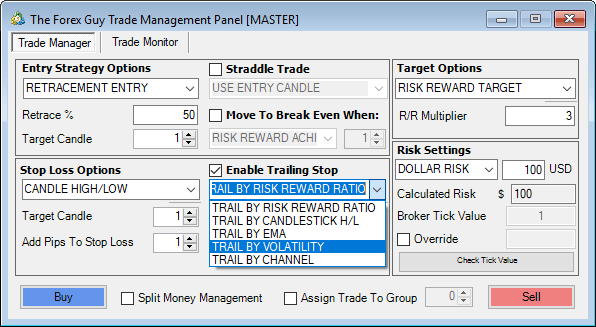 How does it help in price action trading? Thank u Mr Dale for this write up...its simplicity makes it understandable...I could see u include EMA into your trading and it also help in identifying some of the turning point of S/R...You are really doing a great job here helping people how to trade well without losing there hard earn money...Thank you and God bless you. How does the mean value of the 10 and emas works? Thanks very much for lesson. When I draw the weekly S/R, is it what I will be using to analyse the daily chart? WOW! For someone (Me) who has been studying Forex Trading & Demo trading for the last 4 months, This lesson here beats ANYTHING else Ive learnt throughout these last 4 months! So clear & straight to the point! I will definately be studying the rest of your Website. Am hoping to go live once I fully understand the market which hopefully is before the end of the year. THANK YOU DALE! Thanks Dale for your clarity in presenting the tutorial. I came across your site by chance , just a couple of weeks back. I haven't left it since then. Keep the good job going. Kudos to you. Sir u make forex soo exciting and thanks much i believe ma passion has been fuelled by ur continued dedication to new bies here..Am overloy grateful broh its well explained. 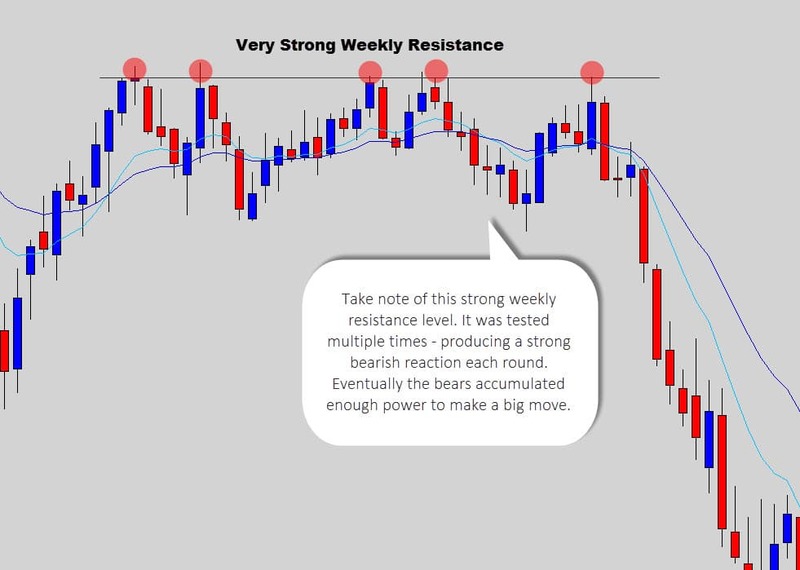 It was highly inlighting to study your article regarding How to draw suport and resistance line. The artcle was effectively simplyfied. It was east to undersatnd. Hi Dale,This is very useful material, i am still going through the course and i must say this is good. I am only on part 3 of the course and i just cant stop. Very insightful for a beginner like me. I read a lot of material that was almost getting me confused but now I can clearly see the light. Thanks buddy! Thanks very much for lesson. 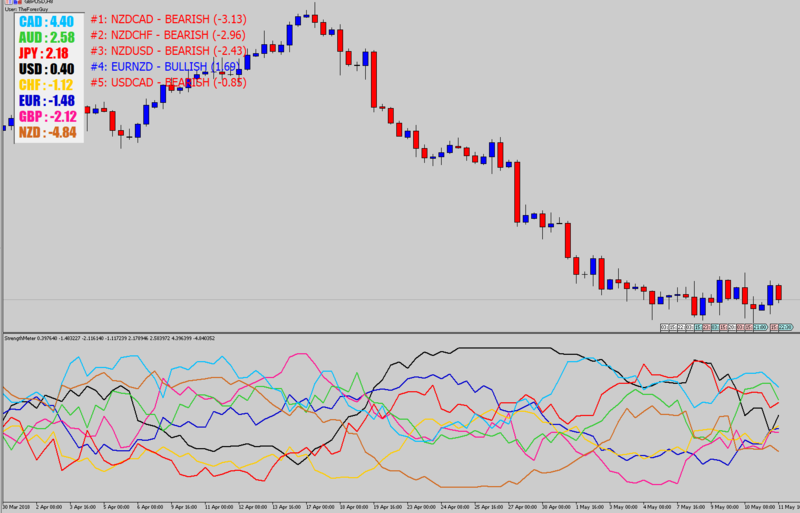 When I draw the Dayly S/R, is it what I will be using to analyse the H4chart? That's my general approach, bigger levels from your top down analysis are really where you look for the market to turn around. Don't waste your time with weak intraday levels. Hey Dale.. Amazing writeup here! You're style of teaching is real cool.. I'll need your advise and help on a couple of things including brokers.. What's the fastest and easiest way of reaching you?